Somehow 2019 is already in full swing, and with the new year comes new food trends. We’re going to chat about emerging food trends for 2019 and how Sipology has got you covered for superfoods, Instagram-worthy and totally trendy sips. 1. Let’s start with fermented foods. This year everyone is talking about gut health and because of this, fermented foods are gaining popularity. One major player in this category would be kombucha. This fizzy fermented tea is so simple to make at home and you can even flavor it with fruit tea to customize your sips. 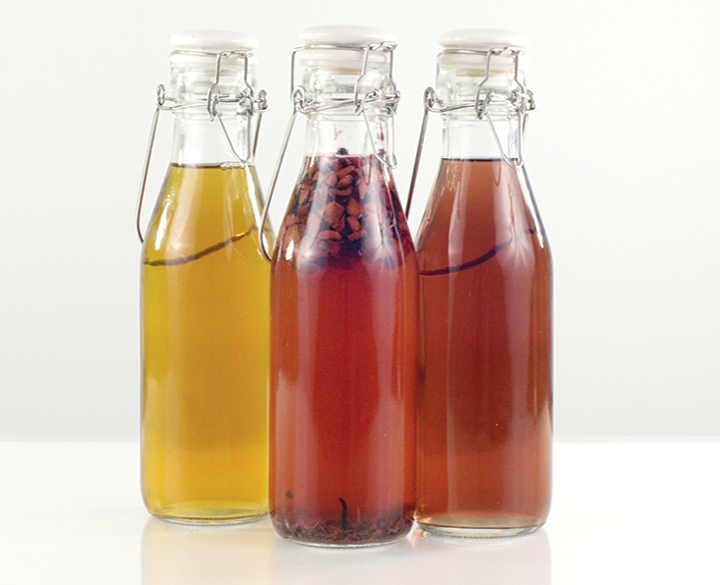 Get everything you need to start brewing your ‘booch with our Kombucha Collection (19399CA/19399US). 2. We saw Turmeric gain popularity last year, but it is coming in hot in 2019 as a hard-hitting superfood. Turmeric has antioxidant properties and it is said that it can reduce inflammation. Sipology has a few blends that feature this awesome spice: Turmeric N’ Spice, black tea(1487CA/1487US), Immunity Booster, herbal tea (8097CA/9097US) and Tangy Ginger Carrot, Veggie Tea (8452CA/8452US). 3. Fun pops of color are going to be a major trend this year and Sipology is all over that. We have some color-changing teas in our arsenal and we can’t wait to release them.If you were able to test out either our Pineapple Potion or Unicorn Kisses, fruit teas you would’ve seen how you could achieve anywhere from a dark blue toa light pink depending on how much lemon juice was added. Super fun and instagrammable! 4. This year people want to amp up their beverage game and instead of drinking just water, they want it packed with other healthy goodness. Enter matcha! This stone-ground green tea is packed with antioxidants, chlorophyll and other beneficial vitamins. At Sipology we have 12 different matcha flavors and 3 sweet matcha flavors, so you’re bound to find the perfect blend to suit your taste. We recommend Clementine Matcha (4551CA/4551US) or Strawberry Matcha (4341CA/4341US) mixed with your water for a fruity sip! Are you excited for these trendy sips? Contact your Sipologist to book your next Tea Bar or click here to learn more about Hosting. Which food trend are you looking forward to trying this year? Share with us on social media #Sipology!